DENRAE is a custom built Oceanfast 87´ with styling and interiors by the renowned Sam Sorgiovanni. It is truly a luxurious, pocket megayacht. Step aboard the lovely, covered aft deck into the main salon. The space occupies the full 24´ beam. It is light and airy with a surround of windows and feels very welcoming. The salon has plush, semi-circular sofa seating around a large round table, perfect for cocktails and conversation. The TV cabinet serves to divide the salon from the formal dining area. The dining area has a uniquely ingenious conversion feature. The dining table accommodates up to ten guests when the leaves are added. It also can be folded into a storage bag and stowed, leaving two hi-lo pedestal tables that lower to coffee table height, effectively creating a very spacious lounge area. From the main deck, stylish, floating stairs to starboard lead up to the pilothouse and skylounge. The pilothouse is also outfiitted with banquette seating behind the captain´s chair, with another built in sofa slightly further back. So, the entire charter party can gather at the helm to share the captain´s approaching view. Accommodations for up to ten guests are in four elegant staterooms. The master is accessed by a dedicated staircase for optimal privacy. The space includes a cozy seating area, dual bathrooms and closets, and a vanity/desk area. Three guest staterooms are accessed by a forward staircase. One guest cabin has two V-berths plus two Pullmans, with ensuite bathroom and shower, which makes this a great cabin for four kids/teens, or four single adults. Aft are positioned a twin cabin and a full-beam VIP, both ensuite. DENRAE has loads of toys and gear aboard and the crew, who´ve been chartering in the Bahamas for seven years, know all the best places to launch them. Charter Denrae and gear up for an amazing vacation. Engines2 x 1145 HP Diesel MTU 2 x Cummins 37.5 kw DENRAE is just setting up their charter amenities...don´t see something...ASK! The owner is very open to requests. Matthew is from Birmingham, Michigan, a midwestern town rich in history and steeped in family values, 20 miles outside of Detroit. His family enjoyed boating on Lake Loraine and he was already learning the ropes at the age of five. As a child he was involved in lots of sports; skiing, fishing, hunting, canoeing, rock climbing, American football, soccer, baseball, and basketball. He even held the State record for hurdles in the 8th grade. Having the energy to master all sorts of challenges is something Matthew naturally excels at. As an adult, Matthew added to his already impressive list of talents with a variety of jobs, each of which required specialized skills. He was a whitewater raft guide for 6 years in Colorado, a waiter at The Grub Steak restaurant in Estes Park, Colorado, a professional bartender at multiple bars in Austin, Texas, a professional musician for 15 years in Colorado and Austin, owned a record label and recording studio called Stardust Drive in Austin, Texas and was involved in real estate development. All successful accomplishments, which he left behind to follow his dream and sail to the Caribbean. Guests aboard DENRAE are in excellent hands. Captain Matthew has been chartering in the Exuma Cays for seven years and knows all the best spots. He is certified as an MCA Master of Yachts 200t/500t OOW, Bahamian Class A License, STCW 95, Security Awareness with Designated Duties, ENG1, PADI Open Water and VHF Radio Operator. 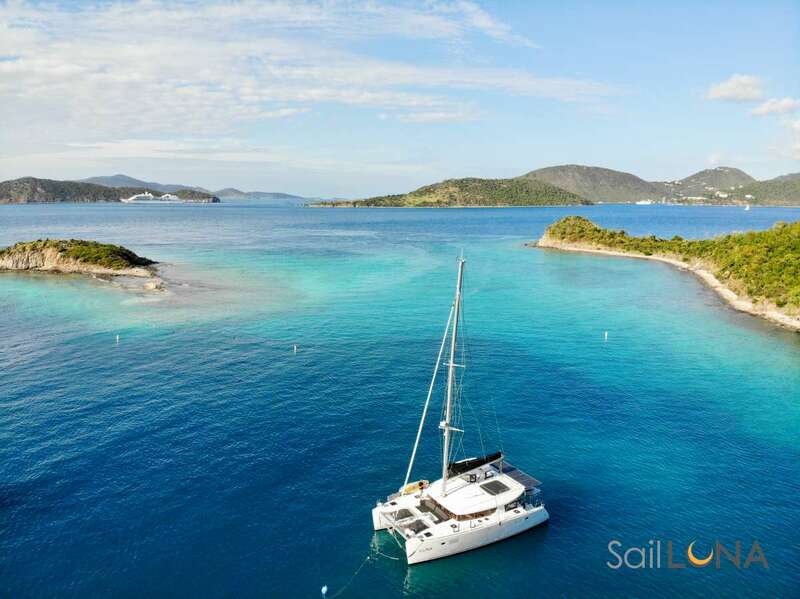 He says his favorite place on earth to sail is the Bahamas, especially the Exumas, “because it has the clearest water in the world and every shade of blue. I fell in love with the Bahamas eight years ago and it’s my home. To this day I’m still mesmerized by its beauty, charmed by the friendliness of the locals and in awe of all the Exuma blue. Charter with Matthew and discover living by his motto: Another Best Day Ever! Jennica and Captain Matthew get enthusiastic reviews from their guests. They plan wonderful activities; fishing, snorkeling, sailing, kayaking, shore excursions and fabulous food. The last night of the charter they host a bonfire on the beach, with ribs on the fire and smores for deserts. Jennica says, “This is something that our guests always rave about, since they didn’t expect it. It allows families to really connect with each other. We eat good food, play some live music, and talk about the highlights of the trip.” Just “Another Best Day Ever”! Mate and Jennica are joined by additional crew. For charters of up to 4 passengers one other crew member joins in, for charters of 5 to 10 passengers there will be 4 crew total. They like bringing an additional ´guest chef´ to add to the variety of food on board, so please inquire and they will match some of their preferred associate charter professionals to your requirements. Send us an inquiry to get specific pricing for Denrae. We currently don't have any reviews for Denrae. We strive to bring you the freshest and most delicious fare. Our produce and recipes are hand picked with Love. As you give us your attention, we cater to your tastebuds. A small sample of what we have coming out of the galley. It’s very important to fill out the Preference Sheet completely so that we can give you the best culinary experience! Lobster Quesadilla with peppers, cheese and creamy sauce. Fresh caught Sashimi & Sushi rolls. Roasted Tomato Soup topped with Fresh Basil and Feta Creme. Chicken Teriyaki served with coconut rice, peanut Sauce & Stir-fried Vegetables. Seared Ginger and Honey Mahi Mahi with Mango salsa, Creole sauce, Greek salad Roasted Potatoes garnished with Dill. Bacon wrapped Filet Mignon with Swedish Mashed Potatoes, Red Wine sauce and Cheese stuffed Beetroots. Cracked Lobster with Homemade Garlic Herb Butter served with Sweet Potato Puree, Beet and Feta Cheese Salad and Marinated Garlic Salad. We also do a beach bonfire night with dinner cooked over the fire and s’mores for dessert.